Will some money generated by Foxconn leave Wisconsin? Gov. Scott Walker announces a deal in July 2017 with Taiwanese manufacturer Foxconn to build an LCD manufacturing plant in Wisconsin. At far left is Terry Gou, chairman of Foxconn. Matt Flynn, one of Walker’s Democratic challengers for governor, says some of the state’s multi-billion taxpayer investment will flow to out-of-state companies. 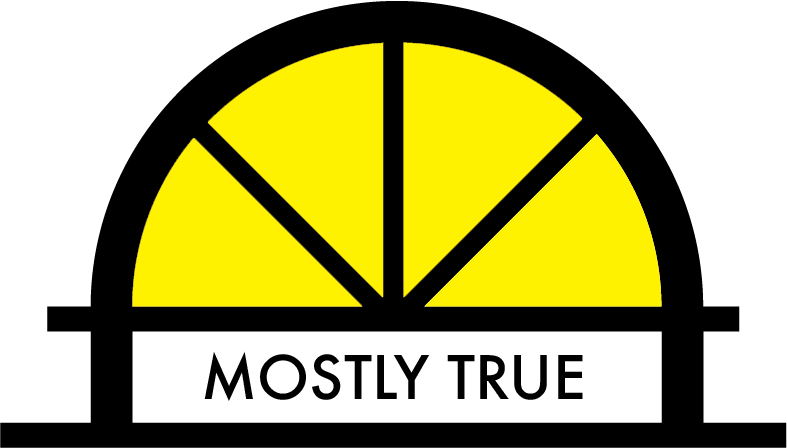 We check his claim. As construction crews prepare to break ground on the planned Foxconn manufacturing plant in Mount Pleasant, some in the political arena are questioning where money from the multi-billion dollar project will go. His comments came after Flynn learned that the lead contractors directing construction of the $10 billion LCD manufacturing plant are, in fact, out-of-state companies. Annika Dale, a Flynn campaign staffer, cited a BizTimes article as Flynn’s source. Will Foxconn incentives flow outside of Wisconsin? The deal that Wisconsin’s Republican Gov. Scott Walker negotiated with the Taiwanese company involved upwards of $3.2 billion in state subsidies for the project, plus a $408 million upgrade to Interstate 94. 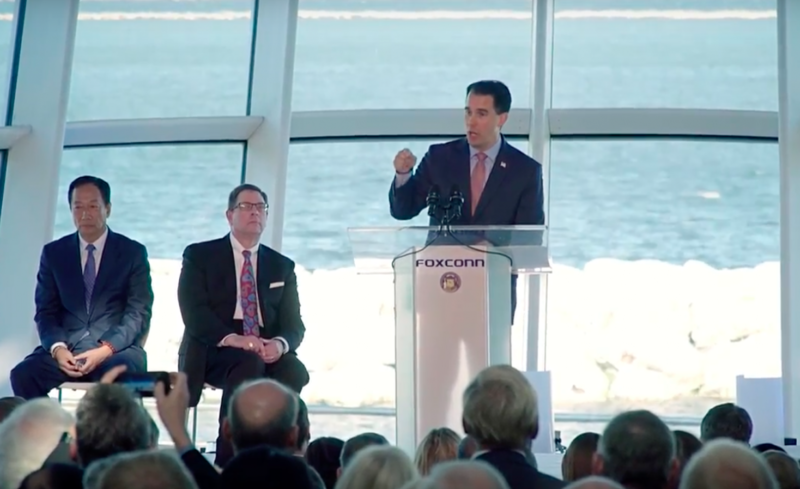 According to the Wisconsin Economic Development Corporation, or WEDC, once the plant is fully operational, Foxconn projects it will spend about $4.26 billion a year on supplies, $1.4 billion of which would be purchased in Wisconsin. According to BizTimes, as of October, 200 companies had offered to supply the manufacturer with a variety of goods, including construction, business services, manufacturing and research. The Foxconn project is anticipated to generate 11,400 jobs in Wisconsin through supplier companies, some seeking to move their businesses close to the Foxconn campus, according to a company-commissioned report. Those “indirect jobs” are projected to increase Wisconsin’s tax revenue by $41 million annually. The BizTimes also reported that the lead contracting companies for the $10 billion project are Gilbane Building Co. of Rhode Island, which has ties to previous projects in Wisconsin, and M+W Group, which is based in Germany. The general contractors have set goals of having 60 percent of companies working on the site be Wisconsin-based, as well as having 70 percent of the workers on the plant be Wisconsin residents. Flynn’s comments on the planned project reflect the reality acknowledged even by state officials that at least some if not most of the suppliers to the Foxconn manufacturing plant will be located out of state. Although the out-of-state project managers have not yet hired the construction companies for the project, their goals for employment show that a good share of the money for construction and jobs also could flow to companies and people outside Wisconsin. Based on these facts, we rate Flynn’s claim that some of the incentives to Foxconn will benefit out-of-state companies as Mostly true.